How much income do I want to live on? What will I do with my time? Do I quit my job now or later? These are all things that could be going through your mind if you are thinking about early retirement. The good news is that planning to retire early (even really early) doesn’t have to be hard. In fact, it can be really simple. For most people, if they are currently unhappy in their job or if the idea of a life without mandatory work simple appeals to them, then chances are that they would be happy to continue to live their current lifestyle, if they could do so without having to work. Say for example you currently earn $40,000 a year, but you hate your job and you want out. Would you be happier if you could earn $40,000 and not have to do your job? You bet! How about if you could retire super early and still earn that $40,000? Even better! This all sounds good in theory, but how on earth do you retire and still earn the same income? 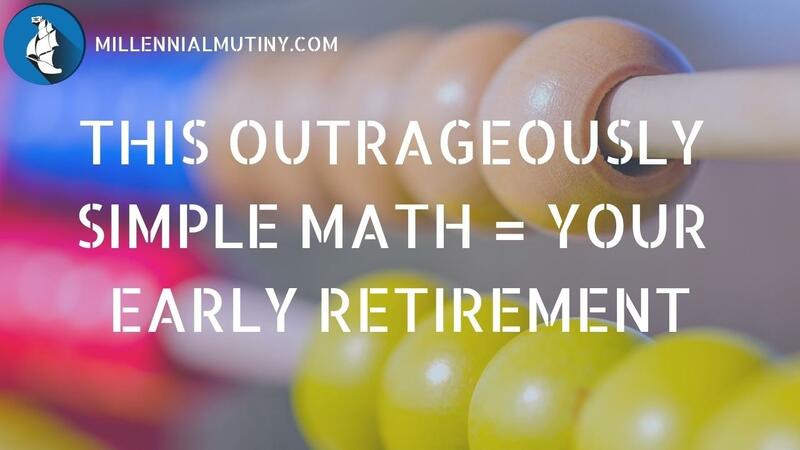 The 4% rule basically says that if you have a fairly diverse investment portfolio, you can draw off 4% of the total each year and the money will last pretty much forever. As a Financial Planner, I suppose I should add a health warning and mention that some studies have concluded that the 4% rule should actually be a 3.5% rule or a 3% rule, while other people feel that the 4% rule is too cautious and that actually you could withdraw more from your portfolio. As a general rule of thumb though, I think the 4% rule holds up pretty well. If you are considering retiring in your 30’s or even in your 20’s, then I think it is better to be more cautious with your withdrawals than if you are someone who is taking a more traditional retirement at age 65. So, back to our $40,000 income requirement, how does the 4% rule apply here? Well, once we know how much income we would like to live off ($40,000 in this case), we simply divide this number by 4% and this will give us the total portfolio amount that we need to save to be Financially Independent. So in this example, $40,000 divided by 4% = $1,000,000. Now, building an investment portfolio of $1,000,000 is no mean feat, but it can be done. In fact, it is probably a lot easier than you think. 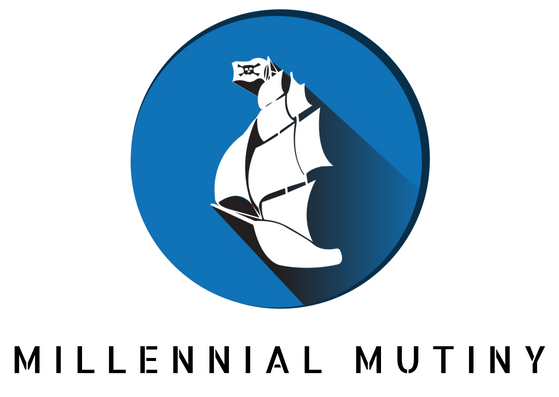 The internet is full of fantastic early retirement and Financial Independence bloggers who have created seven-figure portfolios in 5 years or less. So How Do I Generate That Lump Sum? Now that we have our target investment portfolio of $1,000,000 in the back of our mind, we need to think about how we actually create that $1 million! There are a ton of things that you can do to start increasing your investment portfolio. I’m not a huge fan of reducing spending to the extreme, although most of us can generate some really significant reductions in our spending if we budget better and get more intentional with how we spend money. In my view, the best thing that you can do to reach that $1 million fast is to begin to increase your income. You can generate additional income in all kinds of ways. For a start, you could try to negotiate a raise at your job. You could start a side hustle or try to generate some passive income. Better yet, you could start a blog or knowledge commerce business and tell the world about what you know and are passionate about and get paid in the process. The other way to reach Financial Independence is to start a business that you either absolutely love or that takes very little work and then to grow that business until it meets your target income. Using our $40,000 example, you would need to build your side hustle business or blog to generate $3,333 per month. Now this might still sound like a big ask, but when you look out to the Financial Freedom community online, you will see that there are plenty of bloggers and side hustlers who have built their ‘side business’ to generate $5,000, $10,000, $25,000 or even $100,000 per month (yes – per month!). When you read the stories of these amazing people, building a side hustle to generate your target monthly income doesn’t sound so hard. So you might think I am contradicting myself a little bit here, first telling you to use the 4% rule to build an investment portfolio to live off and then also telling you to start a side hustle business to generate your target monthly income. The reason for this is I actually think that it can be a great idea to do both – try to build the portfolio AND start a side hustle. Think about it, if you build a portfolio of ‘just’ $500,000 (which using the 4% rule could generate $20,000 a year), then you only need your side hustle business to give you $1,666 per month – that’s really doable! You see, everything I have spoken about up until now assumes that you want your income in your ‘retired’ life to be the same as in your working life. Not only will you have a load more time on your hands if you are not working full time, but you may also want to improve your lifestyle in the process. Perhaps you want to go travelling or move to a nicer part of town? Maybe you want to eat out more, or spend more money on your hobbies. When I think about Financial Freedom (as opposed to Financial Independence), I think about the life I actually want to live, not just the live I am living now. When you add up what you want to spend on your ideal lifestyle, you might get a bigger number. If you were spending $40,000 per year before, perhaps you want to spend $60,000 or $80,000 per year when you are ‘retired’. In this case, although you need the $1,000,000 portfolio to achieve Financial Independence (where you can continue your current lifestyle without working your full time job), to achieve Financial Freedom (where you can spend what you actually want to spend), you might need a portfolio of say $1,500,000 or $2 million. Since I nearly died, I have been focused on having a great life – the one I want to live – and I think you should to. That’s why I focus all of my time on Financial Freedom and the portfolio I need to achieve it - $2,500,000 in my case! If you want to begin your journey to Financial Freedom, you can sign up for my free e-mail course below.